54 years, 0 month, 5 days old age. Martin Lawrence will turn 55 on 16 April, 2020. Only 11 months, 25 days, 12 hours, 0 minutes has left for his next birthday. Martin Lawrence has celebrated the total number of 54 birthdays till date. See the analysis by days count and bar graph. 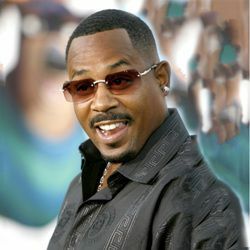 Martin Lawrence was born on 16-04-1965 in Frankfurt, Hessen, Germany. He is a German-born American Film Actor, Comedian, Film Producer, Film Director, Writer, Singer, Musician, Voice Artist & Television Actor who is known for his work in Hollywood. Lawrence's father served in the U.S. military and left the family when Martin was 8 years old. As a teen, he pursued a love of boxing but was also a gifted comedian. A teacher encouraged Lawrence to attend an open mic night at a local comedy club, and his career as a comic was born. Shortly after moving to California, Lawrence got a guest spot on the television show What's Happening Now!!. This appearance led to his big break in television as the host of HBO's groundbreaking Def Comedy Jam. Meanwhile, Lawrence launched his own sitcom for Fox, Martin, which ran from 1992 to 1997. The actor has also parlayed his television success into a movie career; his films include Bad Boys, Big Momma's House and Big Momma's House 2. He first married Miss Virginia USA, Patricia Southall in 1995. Lawrence and Southall have one child together, daughter Jasmine Page. They divorced in 1997. Lawrence began a relationship with Shamicka Gibbs. They married on July 10, 2010, at Lawrence's Beverly Hills home. Lawrence and Gibbs have two daughters: Iyanna Faith and Amara Trinity. The couple divorced in 2012.